Unfortunately, diaper rash is one of those things that as a parent you should expect from time to time. For any parent, it can be heartbreaking to have your baby uncomfortable or in pain every time you change their diaper or clean them. Commonly found where the diaper touches your baby’s sensitive skin, these red bumps are uncomfortable for your little one and should be treated right away before they get infected. Babies get diaper rash for several different reasons such as a chafing or too tight diaper, sitting in a soiled diaper for too long that traps the moisture and acids against the skin, harsh laundry soaps, or even from eating foods that they’re not developed enough to eat yet. Occasionally, babies can get diaper rash from bacteria or yeast infections, especially if they have had antibiotics or thrush. These types of diaper rash can look a little worse and last a while longer despite treatment. Thankfully, in most cases the diaper rash comes and goes every so often and there are steps you can take to prevent it, or at least lessen the severity. More and more, parents are becoming concerned with many conventional diaper rash treatments as they can contain chemical ingredients such as parabens and petroleum, which may even do more harm than good. There are a number of safe and simple alternatives that you can try, many of which you may even have right at home. Always be sure to test a treatment on just a small section of your baby’s skin in case it further irritates them or stings. Diaper fit is an important consideration when dealing with diaper rash. Too loose of a diaper will cause chaffing of the skin and too tight will trap the contents of a soiled diaper to the skin and not allow it to breath. Be sure to use the appropriate sized diaper for your baby based on their size and weight. Additionally, some diapers contain chemicals and fragrances that may irritate your baby’s sensitive skin. If you find that your baby continuously gets diaper rash, consider trying another brand of disposable diapers. There may be an ingredient in a certain brand that causes the irritation. For cloth diapers, ensure that you wash them thoroughly and then boil them for 15 minutes before rinsing them again. This will get all of the bacteria and soap residue out of them and kill any left-over microbes that may bother their sensitive skin. If you find that your baby still gets a rash despite thorough washing of the diapers, consider switching laundry detergents to one that is free of chemicals and scent fragrances. Additionally, another product that may be irritating your little one’s skin is baby wipes. Even though they are designed for babies, many companies still use various cleaners and fragrances in their product which can irritate the skin. With the staggering list of ingredients found on most off-the-shelf diaper rash treatments, you may find yourself exploring a simpler solution. Coconut oil is a natural, organic product that many parents swear by for both its effectiveness and its safety. It contains lauric acid which has anti-fungal and anti-microbial properties to help treat the rash and also moisturize the skin. To use it, simply apply a thin layer to the affected area, rub it into the skin, and let it dry. If you use cloth diapers be sure to rub it all the way into the affected area in a thin coat. Because it is an oil, it can get into the fabric of cloth diapers and create a water repellant effect. Another household organic remedy that moms often turn to is olive oil. Loaded with properties to help reduce inflammation, it can help reduce the itching sensation. Like coconut oil, olive oil also has anti-microbial properties to clear up any bacteria and is another great moisturizer for skin. You can rub it into the skin and let it dry or even mix a little into a warm bath for your baby. Again, if you’re using cloth diapers you can use a liner, switch temporarily to disposables, or just ensure that you use a thin layer to keep your diapers from repelling liquids. If you’re looking for an organic remedy that’s close at hand, look no further. When it comes to household solutions it doesn’t get much more organic than your own breast milk. Both moms and babies can benefit from using breast milk to treat a wide variety of skin problems. As odd as it may sound, breast milk has been used to treat diaper rash for generations. Just use a soft cloth or even your finger and apply it to the affected area and let it dry. A word of caution however, if you suspect that your baby’s diaper rash is yeast related, the sugars in your breast milk can increase the yeast production, prolonging the rash. If the rash looks severe or is oozing liquid, consider seeing your pediatrician for treatment options. Because both the acidity and ammonia in urine and feces is a leading cause of diaper rash, mixing a little baking soda into a warm bath for your baby can help. Sodium bicarbonate works to neutralize the acid and balance the PH of the body. It also keeps yeast from growing as well as bacteria. To use it, try mixing a couple of tablespoons into a warm bath and letting your baby soak in it for 10 minutes. You can do this a few times a day, ensuring to completely dry the area after each bath and let it air out. You can also mix a couple of tablespoons into 4 cups of warm water and use a soft washcloth to gently wipe the affected area. You can let the solution dry in the affected area to allow the baking soda to protect the skin against the acids in a dirty diaper. If you’re a mom that like to solve your problems at home with natural and organic solutions, then the chances are great that you have some apple cider vinegar in your pantry. From weight loss to skin care, apple cider vinegar has been used for centuries by industrious people. Apple cider vinegar is also another home solution for diaper rashes that has anti-bacterial properties helpful in clearing up the skin. To use it for diaper rash, you can simply mix a couple tablespoons into your baby’s bath water and let them soak in it for a few minutes, or you can mix a teaspoon with a few cups of water and apply it in between diaper changes. Be sure to thoroughly dry the area before putting a fresh diaper back on. Also, if the rash is severe it may sting when you apply it so start with a well-diluted solution first to see how your baby reacts. Many parents are concerned about the talc that is used in some conventional baby powders that you find in stores. The American Cancer Society distinguishes talcum powder by 2 groups; talc that contains asbestos and asbestos-free talc. Since talc that contains asbestos is not used in today’s consumer goods, chances are good that your baby powder off the shelf is asbestos free. Many parents however still seek out natural and organic solutions to limit the number of processed products both in and on their babies. If that’s the case, try organic corn starch in place of conventional baby powder. 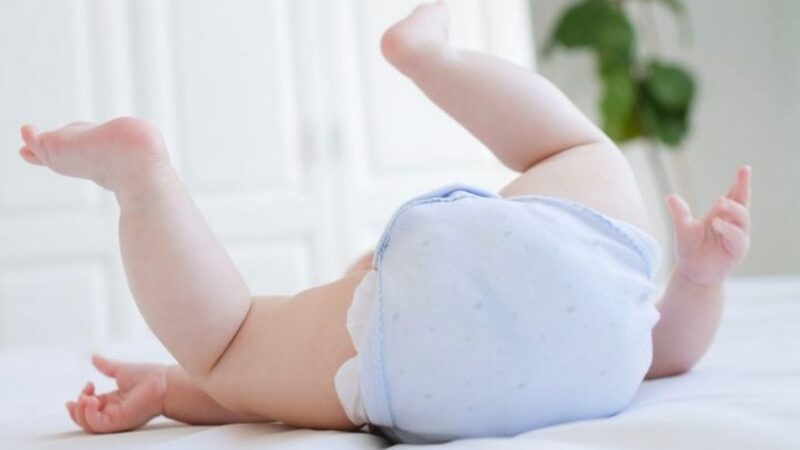 Because chafing and moisture are the cause of the most common type of diaper rash, you can apply a light dusting of corn starch in between diaper changes. With any powder you use you’ll have to make a judgement call on whether to use it or not. Since any powder carries with it the risk of trapping in moisture (and this prolonging the problem), or if the rash has progressed from mild to bad, consider either no powder or a very light amount. Because the corn starch can feed yeast growth, if you suspect your baby’s diaper rash is yeast-related, or if the rash area has open sores, don’t apply corn starch as this can make it last longer. You also want to avoid getting any corn starch dust in the air where your baby can inhale it in order to prevent any respiratory problems. So you keep baby’s bottom dry and clean as a whistle. You make sure that the area gets plenty of air time to dry out. You avoid harsh chemicals, soaps, and wipes. And your baby still gets diaper rash. Well, it may not be the diaper causing all of the problems. As your baby grows and they begin to eat new and more solid foods it isn’t uncommon for them to develop diaper rash. It doesn’t necessarily mean that your baby is allergic to those foods, only that their system may not be ready for them yet. This is often common with acidic foods such as berries and tomatoes. If you suspect that the diet is contributing to the diaper rash you can cut back on solids or stick to ones that your baby can tolerate. Avoid foods that contain glutens, certain grains, any processing, or added sugars. 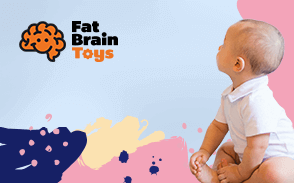 As your baby grows you can re-introduce them to more complex solid foods. As parents of a busy household, there’s always plain oatmeal in the cupboard of our home for when we just don’t have time for anything more extravagant. Oatmeal is great for treating skin conditions in both babies and adults. Avoid using the packets that contain fruits and flavors as they have a lot of sugar that can make things worse. When it comes to diaper rash, plain is best. To treat the rash, mix 1 tablespoon into your baby’s warm bath water and let it sit for 10-15 minutes. Then simply bathe your baby in the water. For a less messy solution, you can put the oatmeal inside a tied cheesecloth or similar material, that will keep you from having to rinse oatmeal off from your baby when you’re done. Sometimes the best solutions and preventions are the easiest to come by. Whether your baby already has diaper rash, or you are simply trying to prevent it in the future, a little air time for your little one’s bottom is what is often needed. Since a contributing factor of diaper rash is moisture and bacteria being trapped against the skin from a wet or soiled diaper, try and let your baby go without a diaper on a few times a day. Right after you change a dirty diaper is a good time to let the skin air out and dry. You can also lay your baby on an open diaper while they nap to ensure that their skin has plenty of time exposed to the fresh air. Whether you’re dealing with a case of diaper rash or looking to stop it before it starts, following some simple guidelines will ensure that neither you nor your baby has to suffer through it often, or for very long. Keeping the diaper clean and dry is the number one goal. Let your baby’s bottom dry out whenever possible, even if it’s just for a few minutes at a diaper change. When they do have diaper rash, always be careful not to scrub or scrape it at this will only add to the irritation. Avoid using heavy creams that contain a lot of chemicals for treatment unless prescribed by your pediatrician. Many of the over-the-counter diaper rash creams contain ingredients that will only trap in moisture and bacteria and prolong any rash. If the rash looks severe, persists longer than a couple of days, or has large red bumps that are leaking puss, see your pediatrician about getting a prescription treatment.